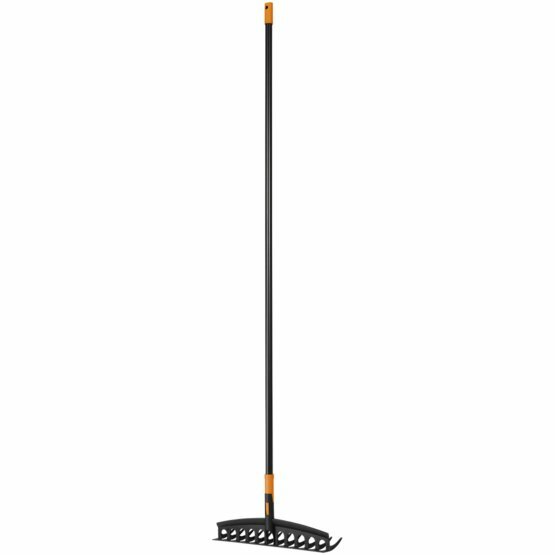 Fiskars Solid Universal Garden Rake is excellent for raking long loose grass or branches as well as for preparing plant beds and levelling soil. Its solid construction and sturdy tines allow for easy raking and offers a versatile solution to the leaf rakes in the Solid range. For perfectly raked lawns and levelled beds, this tool is hard to beat.